Even when you love your job, the workplace can be stressful. Now consider how stressful it can be for those who have a second fulltime job caring for an elderly or disabled loved one. 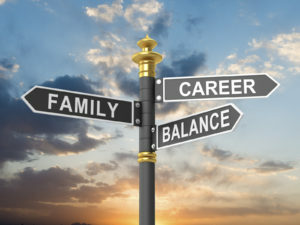 For many family caregivers, it can be nearly impossible to find balance between work, caring for a family, and caring for a senior loved one, which can lead to extreme stress and anxiety, and that stress oftentimes carries over into the workplace. Stressed family caregivers are more often likely to miss work due to illness or care responsibilities, which can mean big monetary losses for employers. But there is a solution. Partnering with a qualified California senior care agency like Hired Hands Homecare to offer senior care benefits to employees can help businesses maintain productivity while offering their employees a wonderful work-life balance solution. See what our California clients are saying about Hired Hands Homecare. If you would be interested in learning how our senior care services can help family caregivers/employees in Sonoma, Solano, Napa, Marin or the Tri Valley area, contact our care team today!